BRING ALL OFFERS! 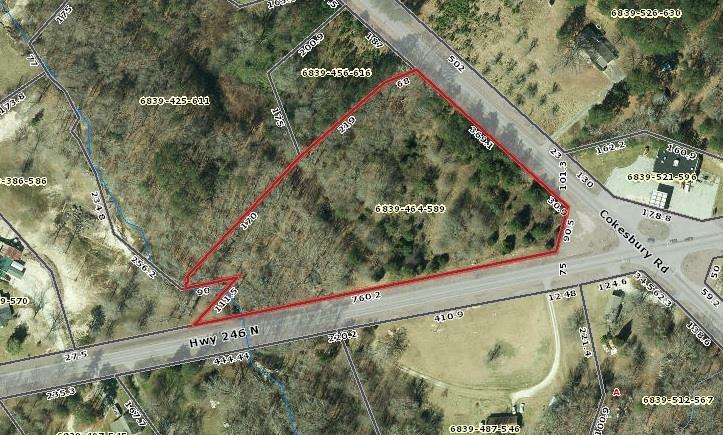 Over 4 acres on the corner of Hwy. 246 and Hwy. 254. Zoned RDD. Property zoned RDD and will be deed restricted for a Dollar General, Family Dollar, Dollar Tree, Fred's or a convenience store. Property has public water and gas available, no sewer. Century Link has ingress/egress on the edge of property on Hwy 246. Lots of opportunities.